Happily Ever Crafter is now officially on bloglovin'! I'm not sure what took me so long to join but I'm here now! 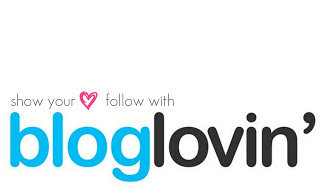 Bloglovin' is such a great site to organize all the blogs that you follow and find new ones. There is even a button that says "Similar blogs" when you're looking at one blog so you can easily find new ones that are right up your ally! So click HERE to follow me on bloglovin'! If you haven't joined it yet, you definitely should if you're a blog reader like me. Also because Google Reader will be gone very soon. It even shows you which blog posts you have read and which ones still need to be read. It's awesome! I can't wait to find some awesome new blogs to read! Any suggestions? And while I'm here I thought I'd remind you all that I've also got a Facebook page for my blog. Don't forget to head over there and LIKE my page! I don't post 100 times a day so don't worry, I won't be blowing up your news feed. I love to interact with my readers and share my latest blog posts with you all and Facebook is just the place for it. I recently turned my personal Pinterest page into a joint personal/blog Pinterest page. I pin all kinds of cool things from home decorating/organizational ideas, recipes, gardening tips, DIY crafts, funny and cute pictures, and more. Be sure to FOLLOW me on Pinterest! 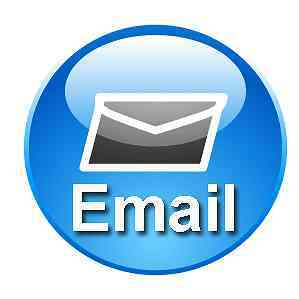 And let's not forget good ol' fashioned e-mail! You can contact me with questions or comments or if you just want to chat at CatherinePageWood@gmail.com. You can also enter your e-mail address in the box on the right side of the page to subscribe to Happily Ever Crafter! How do you keep up with Happily Ever Crafter using social media? What other forms of social media (Twitter, Google+, Instagram, etc) would you like to see Happily Ever Crafter use?